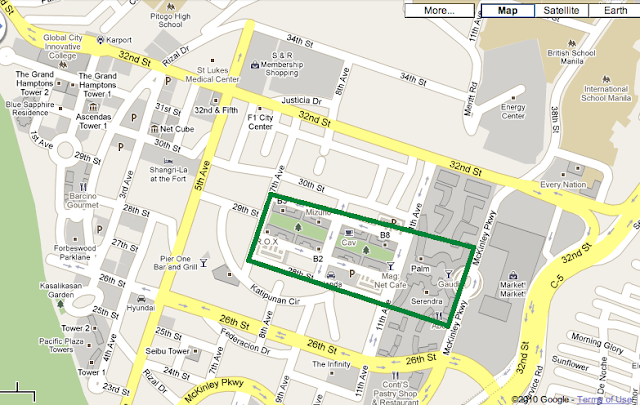 How To Get To Bonifacio High Street and Serendra? 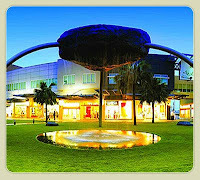 Bonifacio High Street is a hip commercial and business complex in Fort Bonifacio. A kilometer stretch of shopping and office blocks, this complex with low-rise buildings houses premier restaurants and also serves as a very pleasant park for families, lovers, friends, and even dog lovers. Business offices are located at the second floor of these buildings. Many years ago, the area started as a very upscale location but as years passed, it has become more accessible that people from all walks of life visit the place. 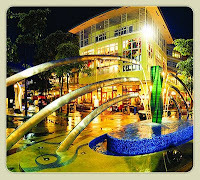 Serendra, or Serendra Piazza, is also an upscale dining and shopping complex in Fort Bonifacio. 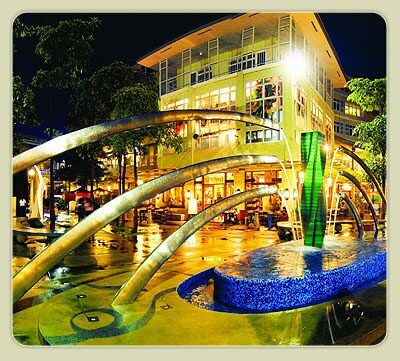 The Piazza is located on the first two floors of Serendra Condominium and serves as a "bridge" between Market! Market! and Bonifacio High Street. A lot of foreigners visit this attractive spot in Fort Bonifacio because of the international shopping and al fresco ambiance that these two areas provide. First-time visitors would be amazed at the installation art and elegant sculptures and fountains found in the area. What more can you expect from Ayala Land? Restaurants and retail shops found in Bonifacio High Street are the following: Club Ascend, Bo's, Coffee, Club, Brother's Burger, Cav Wine, Clawdaddy Crab House and American Grill, Figaro Coffee, Italianni's Restaurant, Kabisera, Kirin Chinese Dining, Krispy Kreme, Magnet Cafe, Agave, Murray's New Orleans Bourbon Street Steaks and Oysters, Pancake House, Seattle's Best Coffee, Starbucks (there's a standalone and another inside Fully Booked), T.G.I. Friday's, Texas Roadhouse Grill, The Coffee Ben & Tea Leaf, The Stock Market, Zing! Juice. Fully Booked, R.O.X., The Spa, Crocs, FlipFlops, Timezone, Honda Service Station and Showroom is also behind the stores, Mizuno, Hobbes and Landes (where Yoh-Gurt is), Nike, Runnr's, Calvin Klein, Charles & Keith, G Force Oakley, Kenneth Cole, Nine West, Philosophy, Rudy Project, and Von Dutch outlets. The Nuffnang office can also be found here. Restaurants and retail shops found in Serendra: Cupcakes by Sonja's, Miss Desserts, Xocolat, A Different Bookstore, Chelsea, Abe, Duo Steakhouse and Wine Bar, Thai at Silk, Conti's, Murray and D'Vine, Fez, Larry's, Tatami Japanese Restaurant, Zao Bistro, Mamou, Gaudi, Fu, Guava, Hossein's Persian Kebab, Balducci, Brazil Brazil, Cafe Mary Grace, Polu Kai Grill, Mogu, Sentro 1771, Healthy Kitchen, Cacao, ArAma, Culliere, Froyo's, Kape Isla, Mini Shabu-Shabu, Sunrise Buckets, Tea and Therapy, Lulu Belle, Blow Up Babies, Gymboree. Additions: Mercato Centrale, a weekend haven for food enthusiasts can also be found around the area. Remember that Bonifacio High Street and Serendra are just in front of Market Market. So, it's also practical to base your commute to Market Market because it has a jeepney/bus terminal where all public transport vehicles converge. Option 1. From EDSA, ride a bus southbound to Baclaran or Ayala or take an MRT and go down at Ayala and look for the jeepney terminal (in Forbes Gate 2, a few steps from the MRT Station and ride those that are bound for Market Market. These jeepneys will pass by Bonifacio High Street and Serendra. Option 2. From EDSA, ride a bus southbound to Baclaran or Ayala or take an MRT and go down at Ayala and look for the bus terminal of TheFort buses - East Route (at the gate of Forbes across Shell Station) bound for Fort Bonifacio. These are air-conditioned buses that go around Fort Bonifacio. Ask to be dropped off Bonifacio High Street or Serendra. Option 3. From EDSA, ride a bus southbound to Baclaran or Ayala or take an MRT and go down at Guadalupe. There are jeepneys in Guadalupe that are bound for AFP Housing and Fort Bonifacio Gate 3. You can ride either of the two, both of those routes pass by The Fort/Serendra. If your destination is by 3rd/5th Avenue, ride AFP Housing; if it's on the other side of the Bonifacio High Street/Serendra (meaning along McKinley Parkway), ride Gate 3. In any case, The Fort is a small area and you can just go to buildings by walking. Option 4. From the C5 area, ride an FX or jeepney going to Kalayaan Avenue and go down at the intersection of Kalayaan and C5 (called "Buting"). There are jeepneys bound for Market Market from that corner. Market Market! is just in front of Bonifacio and High Street. Option 1. From EDSA, ride a bus northbound to Fairview or Monumento or take an MRT and go down at Ayala and look for the jeepney terminal (under MRT station) and ride those with signboard McKinley-Fort-Bonifacio-Gate 2 that are bound for Market Market. Option 2. From EDSA, ride a bus northbound to Fairview or Monumento or take an MRT and go down at Ayala and look for the bus terminal of TheFort buses-East Route (at the gate of Forbes across Shell Station) bound for Fort Bonifacio. These are air-conditioned buses that go around Fort Bonifacio. Option 3. From EDSA, ride a bus northbound to Fairview or Monumento or take an MRT and go down at Guadalupe. There are jeepneys in Guadalupe that are bound for AFP Housing and Fort Bonifacio. You can ride either of the two, both of those routes pass by The Fort/Serendra. If your destination is by 3rd/5th Avenue, ride AFP Housing; if it's on the other side of the The Fort/Serendra (meaning along McKinley Parkway), ride Gate 3. In any case, The Fort is a small area and you can just go to buildings by walking. Option 1. On the intersection of Ayala and EDSA northbound side, across the Shell Station, there are jeepneys and Fort buses (East Route) bound for Market Market. Ask to be dropped off Bonifacio High Street. Option 2. There are also jeepneys passing along Pasong Tamo/Mantrade/WalterMart (along Pasay Road) that are bound for FTI. Ride the one that goes to Gate 3. From Gate 3 or end of Pasong Tamo Extension, there are jeepneys bound for Guadalupe, passing by Bonifacio High Street and Serendra. Option 3. There are also jeepneys in Guadalupe that are bound for AFP Housing and Fort Bonifacio. You can ride either of the two, both of those routes pass by The Fort/Serendra. If your destination is by 3rd/5th Avenue, ride AFP Housing; if it's on the other side of the The Fort/Serendra (meaning along McKinley Parkway), ride Gate 3. In any case, The Fort is a small area and you can just go to buildings by walking. Option 1. Ride a jeepney going to Nichols in Taguig and asked to be dropped off the Gate 3, where the jeepney terminal to The Fort and Market Market! is located. From Gate 3, there are jeepneys bound for Guadalupe, passing by Bonifacio High Street and Serendra. Option 2. 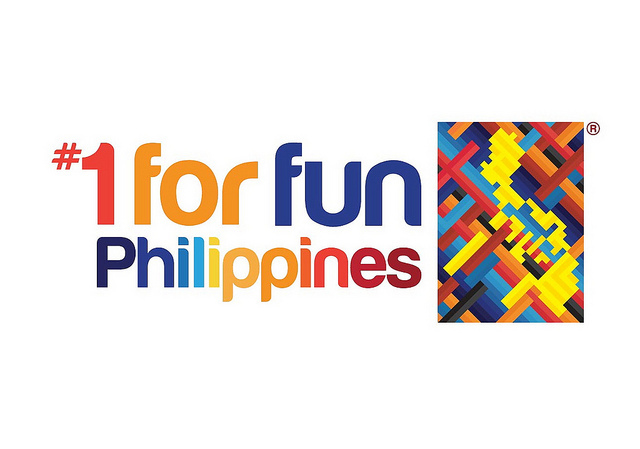 Ride a Guadalupe-FTI jeepney from FTI and get down at the northbound side of C5 across Market Market! You can already cross C5 via the bridge. For those driving private vehicles: Bonifacio High Street and Serendra are within Fort Bonifacio, surrounded by 11th Ave, 7th Ave, 32nd St, and 26th St. Fort Bonifacio is just along the southbound side of C5 between Kalayaan Avenue (in Makati) and the C5/Nichols Exit. The area can also be accessed through EDSA northbound using either a) KalayaanAvenue b) McKinley Road going to Forbes by the Ayala corner or c) C5 flyover coming from Buendia. 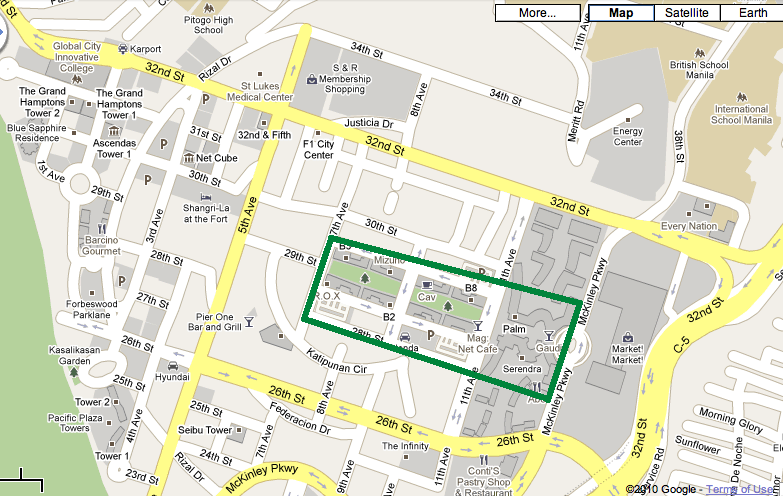 Parking is available on paved open lot parking spaces around Bonifacio High Street and basement of Serendra. The C5 area is already traffic-heavy during rush hours on normal days (due to the volume of cars going to Makati and SLEX) and expect bumper-to-bumper heavy traffic during Christmas season on both sides. But within Fort Bonifacio, there aren't any traffic jams at all. Of course, you can ride a taxicab from any area around the metro and just mention "Market Market", "Fort Bonifacio", "Serendra", or "Bonifacio High Street" and the driver already knows where to go. 38 Responses to "How To Get To Bonifacio High Street and Serendra?" Awesome site! I need to know how long it takes to drive from SM MOA to Fort Bonifacio Global City with and without traffic congestion? Thanks a lot! How about if I will coming from Cavite?How can I go back from Bonifacio High Street to MRT Station? That's a wonderful idea. Loved the way this article is explained. Great insights. I look forward to reading what you're planning on next, because your post is a nice read.